Even though the double wall tank is now our standard we still offer the single wall systems with or without rupture basins. Critical Fuel Systems also provides a complete line of day tank trim accessories, from level controls to fill manifolds, to meet specific project needs. Fuel oil has a fairly short shelf life when left untreated. As soon as the diesel fuel is refined, it starts to degrade. Water is left over from the refining process and new water vapor enters through the atmospheric tank vents and condenses on the walls of the storage tank, collecting at the bottom of the storage tank. 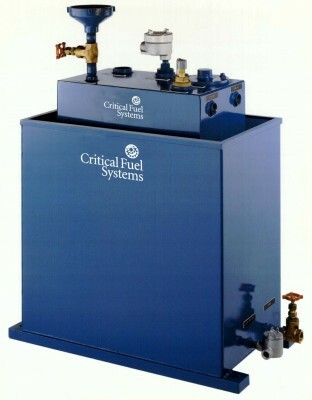 To meet the requirements for fuel readiness at mission critical and critical care facilities, the Critical Fuel Systems Fuel Maintenance and Filtration Modules will remove the water and treat the fuel to ensure the diesel fuel is ready when you need it. 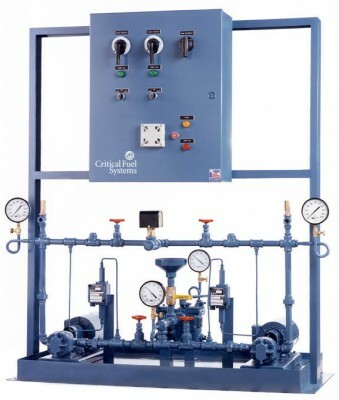 Critical Fuel Systems manufactures complete, diesel fuel, pump sets for Mission Critical applications. Our standard duplex pump sets range from 36gph to 3,000gph. 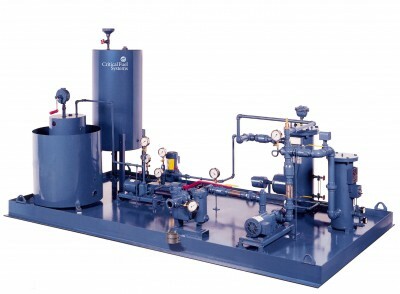 Custom pump sets can be designed to meet most anyapplication or configuration for pumping fuel oil . Our positive displacement pump sets are built for reliable, safe operation and engineered to protect the environment. The controls systems for mission critical applications must become more sophisticated as the fuel systems become larger and regulations become tighter. 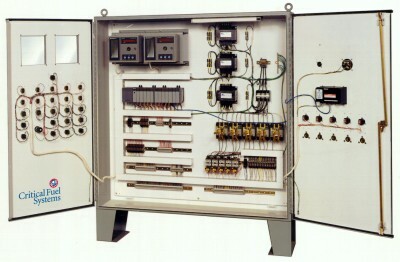 Critical Fuel Systems has engineered a modular control system to meet these challenges. Our approach is to build standard systems with features that can be enabled on site as well as a set of options that can be added to each system. These systems are expandable on-site to allow for adding equipment to meet the most ambitious growth plans.